I have been on pins and needles ever since finishing Jackaby for news of the sequel, and now it's finally here! I love this cover, you guys. I love the colors, I especially love that it's Abigail's silhouette, and I can't wait to hold it and admire it on the shelf rubbing shoulders with its predecessor. 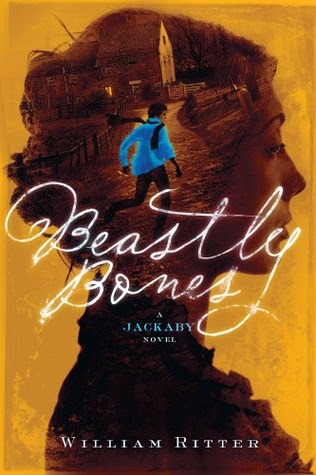 I'm very much looking forward to finding out what beasties Abigail and Jackaby (and Charlie!) will be tracking this time around. I will confess to having been hoping the next one would be titled simply Rook. But, alas, it was a meager hope at best. Beastly Bones is due out September 22nd. Until then, we shall have to make do with dreaming.